It was a weekend unlike any I’ve ever experienced. 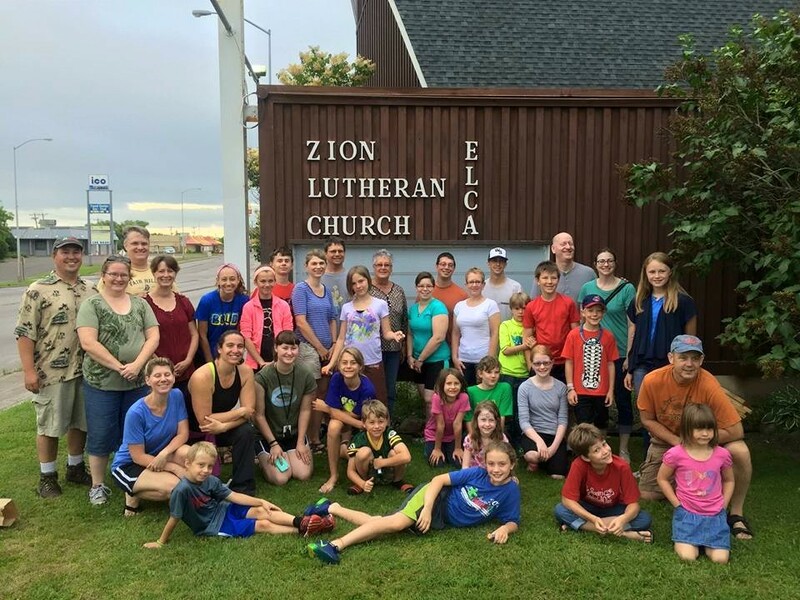 Nine adults and 11 kids set off as missionaries to the less-than exotic location of Superior Wisconsin. There we met a group of 13 from a Wisconsin church and set off on an adventure. Each day we worshiped, shared devotionals, broke a sweat and then broke camp. We set off in small groups for service opportunities in the community to mentor youth, engage seniors, pick up trash or help with yard work. The labor was intense but rewarding as we met a wide range of grateful hosts. One host however, was less hospitable. Rather than encourage us, it hung in the sky relentlessly baking us. The only respite from the heat was a shower at the local YMCA were we retreated each evening to vanquish the latest layer of grime before we worshiped, went to bed and awoke to add another. Ironically it was there, after our service activity ended on Saturday that we would learn our biggest lesson. While showering at the Y a set of keys went missing. A search followed, then the discovery of a missing van followed by a police report. In a weekend of engineered opportunities to display our faith, we were abruptly faced with a real life chance to model it. Tim and Ashley (the victims) took the opportunity to display perseverance and a positive attitude as we worked through the logistics of a stolen car while 150 miles from home. The other participants rallied to their aid offering support, rides, counseling to a child who lost her prize toy and prayer. Tim and Ashley kept it together, and the group came together. The only real impact was to the kids’ sense of security and this offered a chance for a discussion. Our children lead lives insulated from crime. Fed by media-built impressions of “good guys” and “bad guys” they grow up with an innate sense of being safe. An event like this rattles that to its core. The kids on this trip suddenly had a lot of questions. Good questions that we worked through. Questions that didn’t necessarily have great answers but which were much easier to address when seen through a moral framework and the lens of the calm, matter-of-fact disposition of the victims. Tim and Ashley had a tough day, but you’d never have known it. They were more concerned with reassuring the staff at the church and the kids than lamenting the situation. There wasn’t an ounce of bitterness, not a smidge of anger, just a time for prayer and thoughtful discussion about how to move forward. None of the group activities were missed and no tears were shed. In a weekend with many opportunities for learning, this one struck me. Too often in our world “Faith” is a commodity a buzzword, or an unknown. What does it really mean? How can we pass it on? The answer is that to become real and tangible, it must be modeled. Thank you Tim and Ashley for turning a tough day into a lesson that did just that– for the kids… and for me. Wow, many lessons learned on your trip.